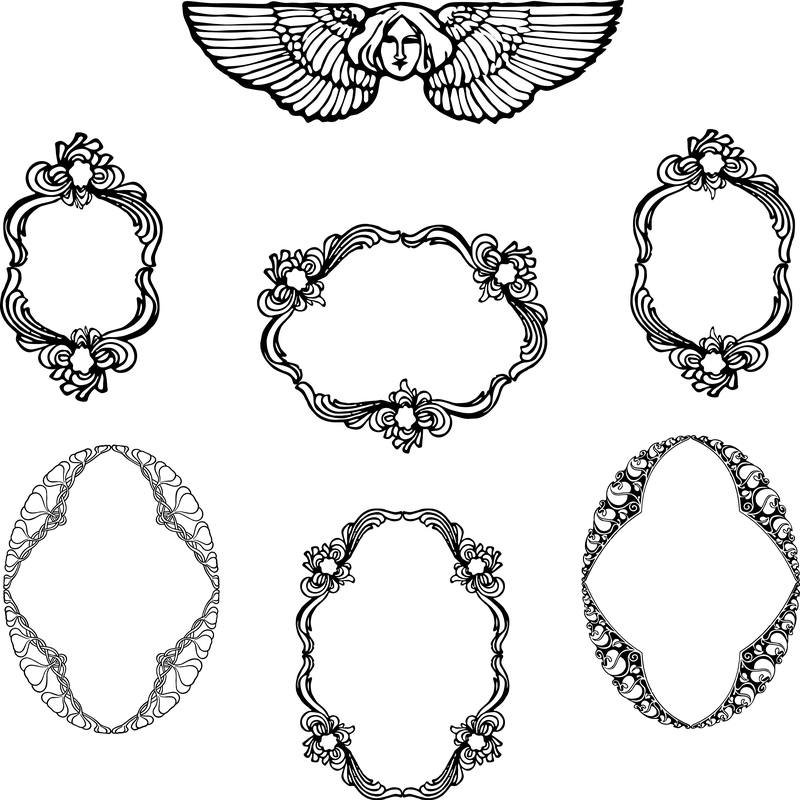 Today’s freebie is a set of decorative vintage frames and borders that would work well for frames and labels. You get a bonus angel with this set as well. It is available in JPEG, PNG, free stock vector and PDF download. There’s a version of the file in just black if you would rather have the files uncolored to make brushes or do your own coloring. If you are new to this blog, these images are commercial use freebies. 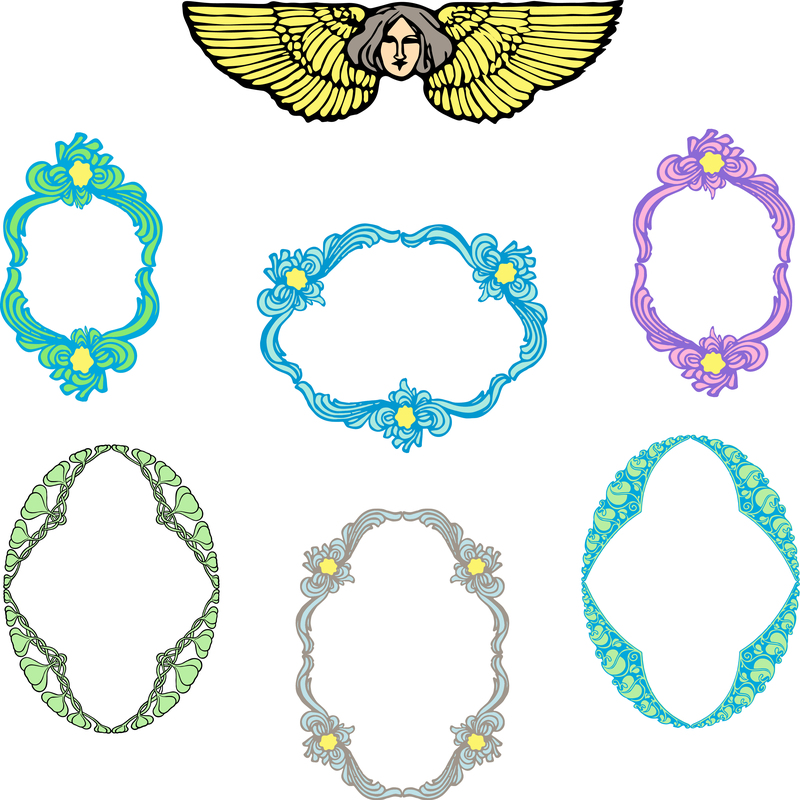 Feel free to use them in your DIY projects, craft projects or for digital design.